An Atlas V rocket launched with the Juno spacecraft payload from Cape Canaveral Air Force Station in Florida, USA, on Friday. The spacecraft will make a five-year, 400-million-mile voyage to Jupiter, orbit the planet, investigate its origin and evolution with eight instruments to probe its internal structure and gravity field, measure water and ammonia in its atmosphere, map its powerful magnetic field and observe its intense auroras. Juno will cover the distance from Earth to the moon (about 250,000 miles or 402,236 kilometres) in less than one day’s time. 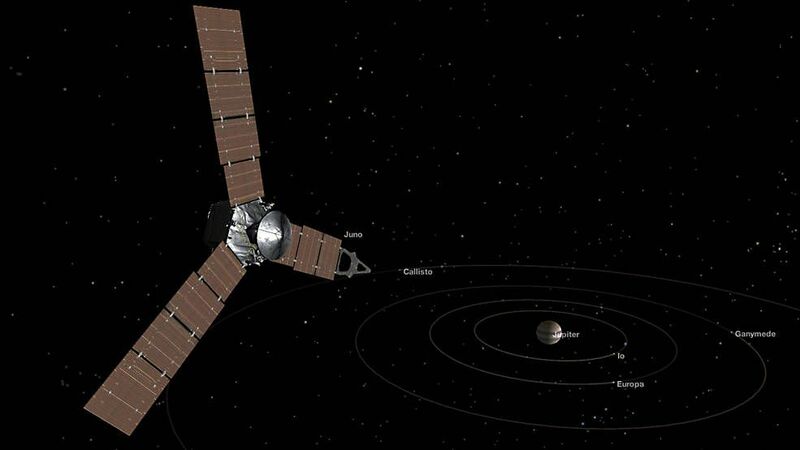 It will take another five years and 1,740 million miles (2,800 million kilometres) to complete the journey to Jupiter. The spacecraft will orbit the planet’s poles 33 times and use its collection of eight science instruments to probe beneath the gas giant’s obscuring cloud cover to learn more about its origins, structure, atmosphere, and magnetosphere, and look for a potential solid planetary core. NASA Administrator Charles Bolden said: “Today, with the launch of the Juno spacecraft, NASA began a journey to yet another new frontier. With 4 large moons and many smaller moons, Jupiter forms its own miniature solar system. Its composition resembles a star’s, and if it had been about 80 times more massive, the planet could have become a star instead. The Atlas V is the newest member of the Atlas family. Compared to the Atlas III vehicle, there are numerous changes. Compared to the Atlas II, it is a near-redesign. There was no Atlas IV. 1.The "1.5 staging" technique was dropped on the Atlas III, in favor of a more-advanced RD-180 engine. 2.The main-stage diameter increased from 10 feet to 12.5 feet. As with the Atlas III, the different mixture ratio of the engine called for a larger oxygen tank (relative to the fuel tank) compared to western engines and stages. 3.First-stage tanks no longer use stainless steel monocoque "balloon" construction. The tanks are isogrid aluminum and are stable when unpressurized. 4.Use of aluminum, with a higher thermal conductivity than stainless steel, requires insulation for the liquid oxygen. The tanks are covered in a polyurethane-based layer. 5.Accommodation points for parallel stages, both smaller solids and identical liquids, are built into first-stage structures. The Atlas V was developed by Lockheed Martin Commercial Launch Services as part of the US Air Force Evolved Expendable Launch Vehicle (EELV) program. 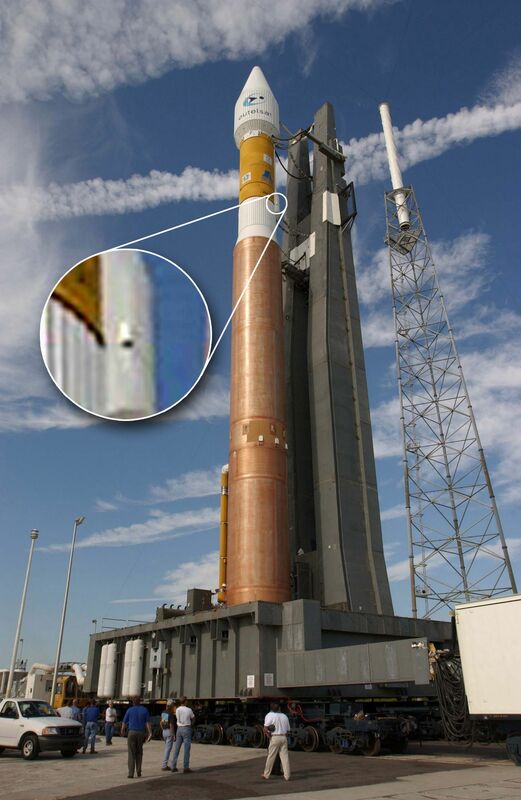 The term expendable launch vehicle means each vehicle is only used once. Launches are from Space Launch Complex 41 at Cape Canaveral Air Force Station and Space Launch Complex 3-E at Vandenberg Air Force Base. 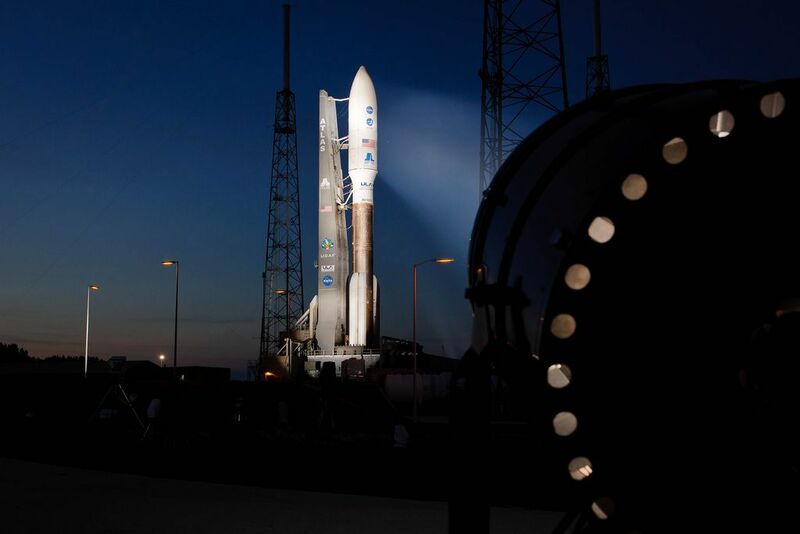 Lockheed Martin Commercial Launch Services continues to market the Atlas V to commercial customers worldwide. 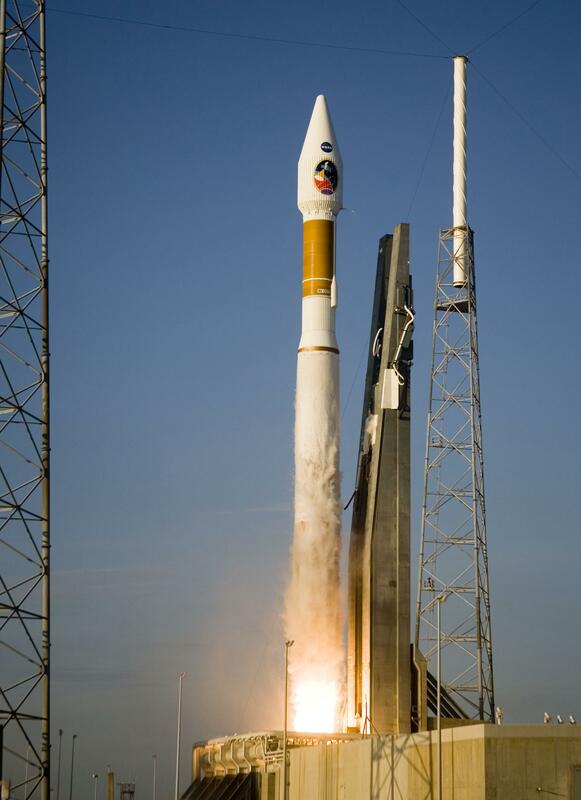 The first Atlas V was launched on August 21, 2002, and all subsequent launches have been successful except for the 2007 anomaly. The Atlas V family uses a single-stage Atlas main engine, the Russian RD-180 and the newly developed Common Core Booster (CCB) with up to five Aerojet made strap-on solid rocket boosters. The CCB is 12.5 ft (3.8 m) in diameter by 106.6 ft (32.5 m) long and uses 627,105 lb (284,450 kg) of liquid oxygen and RP-1 rocket fuel propellants. The booster operates for about four minutes, providing about 4 meganewtons (860,000 lbf) of thrust at start, the major part of this thrust, 4.152 meganewtons being provided by Russian RD-180 engine. The Centaur upper stage uses a pressure stabilized propellant tank design and cryogenic propellants. The Centaur stage for Atlas V is stretched 5.5 ft (1.68 m)[clarification needed] and is powered by either one or two Pratt & Whitney RL10A-4-2 engines, each engine developing a thrust of 99.2 kN (22,300 lbf). Operational and reliability upgrades are enabled with the RL10A-4-2 engine configuration. The inertial navigation unit (INU) located on the Centaur provides guidance and navigation for both Atlas and Centaur, and controls both Atlas and Centaur tank pressures and propellant use. The Centaur engines are capable of multiple in-space starts, making possible insertion into low-earth parking orbit, followed by a coast period and then insertion into GTO. A subsequent third burn following a multi-hour coast can permit direct injection of payloads into geostationary orbit. As of 2006, the Centaur vehicle had the highest proportion of burnable propellant relative to total mass of any modern hydrogen upper stage and hence can deliver substantial payloads to a high energy state. 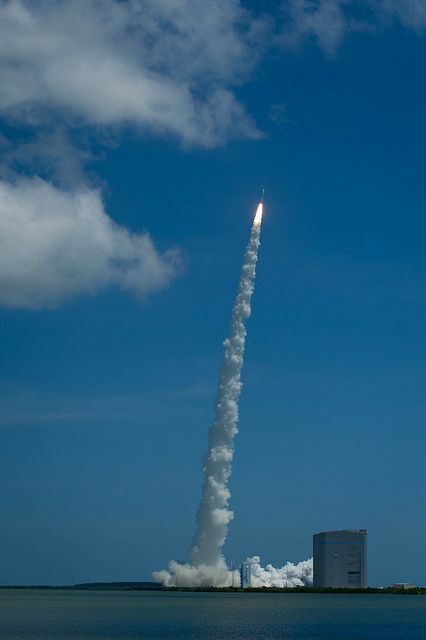 On April 14, 2008, Atlas V lifted its heaviest payload to date into orbit—a 14,625-pound (6,634 kg) telecommunications satellite built by Space Systems/Loral.